After breakfast with Jeen, I visited rif at work during his lunch break. 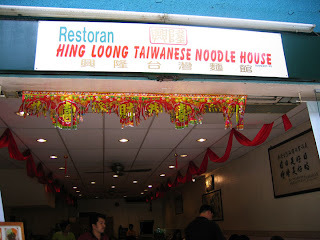 We decided to have lunch at Hing Loong Taiwanese Noodle House as we didn’t want to wander too far from his office. 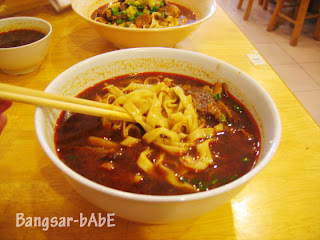 I ordered the Beef Brisket Noodles while rif had the same thing in dry version. We both asked for our noodles to be spicy. 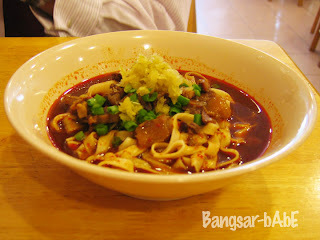 rif’s noodles tasted just like mine…only drier. I guess it’s less messy as he didn’t have to worry about soup splashing on his work shirt. Me? I suffered a few splats of chili soup here and there. 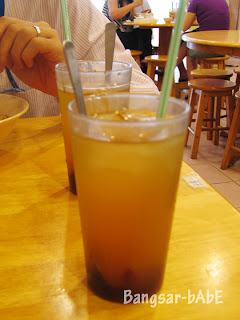 😛 We had sea coconut and honey water to wash down our lunch. Lunch cost us RM 15.80 with no service charge or tax. I enjoyed my lunch and would probably come back to try the other things on the menu. 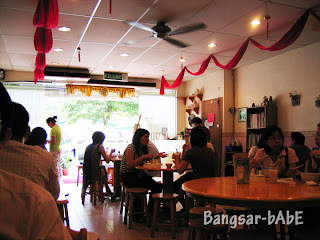 Verdict: A nice place to dine with interesting choices (non local food) and affordable pricing. Next time I want to try their pan fried dumplings….looks nice. I saw the table next to us order.